This week London Gatwick launched its biggest new restaurant in two years, Sonoma – an original table-service brand devised by TRG Concessions and founder of Giraffe Restaurants, Russel Joffe. Sonoma is inspired by the culture of California – where its namesake, the famous Sonoma Valley wine region, is located. The 600m2 restaurant, which serves 300 covers, features a relaxed, family-friendly atmosphere and classic West Coast cuisine. A separate “food-conscious” menu, offering plant-based options such as Keralan curry and a beetroot and quinoa burger, is also available. Furthermore, Sonoma’s wide range of pizzas are cooked in less than three minutes in its large open pizza oven – a striking feature in the centre of the restaurant. In keeping with Gatwick’s goal to be the UK’s most sustainable airport, Sonoma offers “wine on tap” (draught wine) – an innovative, eco-friendly distribution method, which helps to make high-quality wine more accessible. 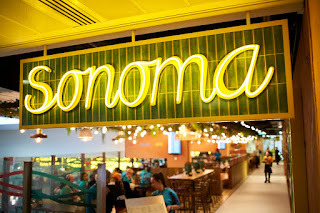 Sonoma, which joins other popular brands such as Pret and Wagamama in Gatwick’s North Terminal departure lounge, occupies the units which were previously held by Garfunkel’s and Armadillo. The launch of the Californian restaurant aptly comes just days before a new long-haul route from Gatwick to San Francisco takes off for the first time. Norwegian will operate five weekly services to the city from Sunday 31 March. Rachel Bulford, Head of Retail, Gatwick Airport said: "Our North Terminal is currently going through a significant period of transition, and the opening of Sonoma is an exciting milestone in that development. It’s been great working with TRG and Russel on bringing this innovative restaurant concept to life. We have a wide array of food and beverage outlets already in place at Gatwick, but Sonoma succeeds in offering something new for our passengers. I’m sure the delicious food and relaxed California-inspired surroundings will establish Sonoma as a firm family favourite for the future at Gatwick." Nick Ayerst, Managing Director, TRG Concessions said: "We are delighted to have retained this restaurant space within Gatwick North Terminal and super excited to introduce this fresh new concept to Gatwick’s passengers. 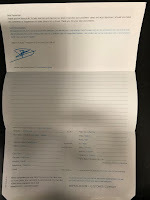 It has been a fantastic development process and collaboration with such a skilled and experienced restauranteur in Russel Joffe. Sonoma will bring a unique family dining offer to the North Terminal; catering to different dietary requirements and bringing together current food and drink trends as well as offering the favourites that we know are well loved in this space."